Have you ever had any trouble because of duplicated recipes? I got the good news for somebody like you! Crafting EX will be able to solve that problem. This mod does not add new blocks or items. Duplicated recipes will be able to craft easily. You can toggle result item if current recipe has other duplicated recipes. In that case, toggle buttons will be shown under the result. Is not compatible with "Charset - Storage Chest". Any plans on making it compatible with JEI? With a regular vanilla table you can get JEI to fill out the recipe grid by hitting the "+". 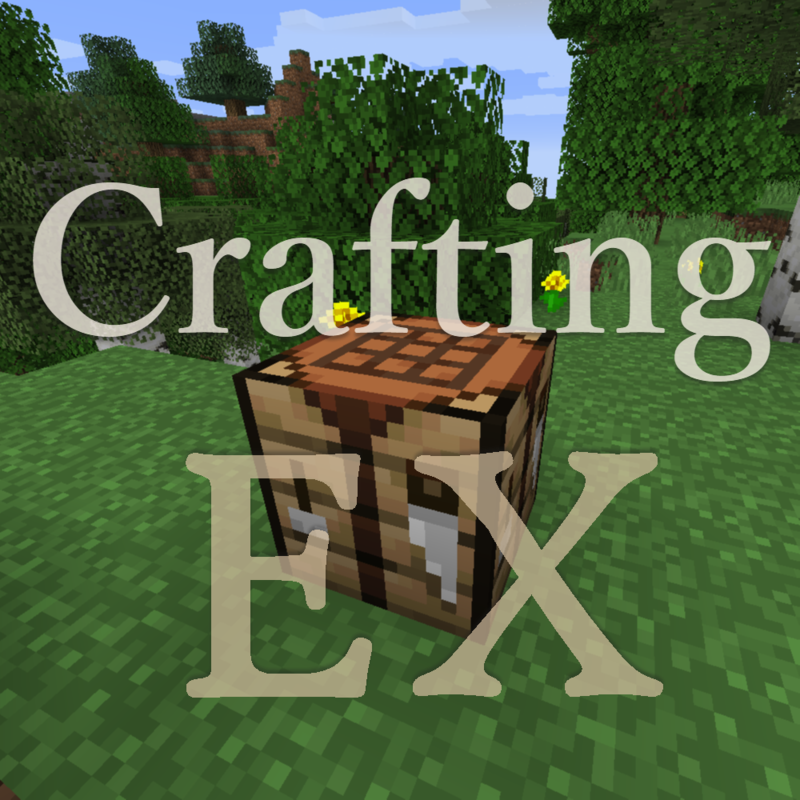 With Crafting EX installed that feature is missing. Is their a way to get this for the 2X2 grind as well? Thanks a lot. It is not a problem. So, NoMoreRecipeConflict, but updated? Nice. Though I don't have a need for it now, because I'm playing with the latest Thaumcraft and already have NMRC. But, once I update again, I'll be back. Does this work using Refined Storage or AE2 crafting grid? No, this mod applies on vanilla crafting table only. Very nice mod. Super helpful!